Giants Top 49ers 20-17 In OT to Reach Super Bowl: The New York Giants have their own Super Bowl formula: in overtime and on the road. And with Lawrence Tynes’ foot. Eli Manning directed one short, final drive and Tynes kicked a game-winning 31-yard field goal in overtime, sending the Giants to the Super Bowl with a 20-17 victory over the San Francisco 49ers in the NFC championship game on Sunday. In another tight one in this decades-old postseason rivalry, both defenses made key stops before New York capitalized on another costly mistake by San Francisco. Manning and the Giants (12-7) will face the New England Patriots in the Super Bowl on Feb. 5 in Indianapolis as 3.5-point underdogs. The last time the teams met for the NFL title, 2008, the Giants ended the Patriots’ bid for a perfect season. Tynes had a hand, er, foot in getting the Giants to that one, too, kicking the game-winning field goal in overtime at Green Bay. Eli Manning drilled in a 37 yard touchdown to Hakeem Nicks to distance the Giants against the Packers 20-10 in the first half of the NFC Divisional Playoff game. Manning already completed 14 of 24 passes for 274 yards to exploit the defense of the Packers. 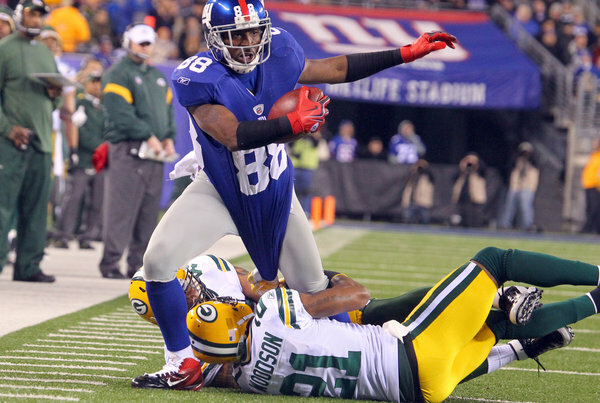 He threw two touchdowns to Nicks as the Giants continue to dominate the top ranked Packers. Nicks already caught five times for a whooping 152 yards that included the 66-yard touchdown reception in the first quarter and the 37-yard at the end of the second quarter. Nicks has been extricating himself from the Packers defense that couldn’t keep up with the surprise offensive package of the Giants. Victor Cruz also caught three catches for 46 yards as the Giants have the edge in the passing game. 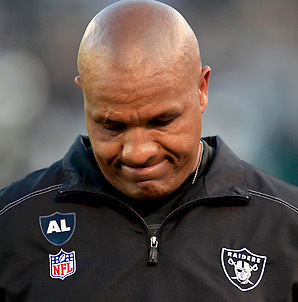 Raiders tTake Steps Away From Davis Dysfunction With Jackson Firing: The Hue Jackson error in Oakland is over, and as it turns out, maybe the Raiders are starting to make progress after all. Jackson’s firing on Tuesday after just one tumultuous season represents a clean break of sorts in Oakland, from the way things were done when Al Davis ran the whole show for decades, to the way business will now be conducted with new Raiders general manager Reggie McKenzie in charge. Denver Broncos Upset Shows: The Denver Broncos’ dramatic 29-23 overtime win against the Pittsburgh Steelers was not proof that quarterback Tim Tebow is the next John Elway. Rather, it was proof that he might never need to be. 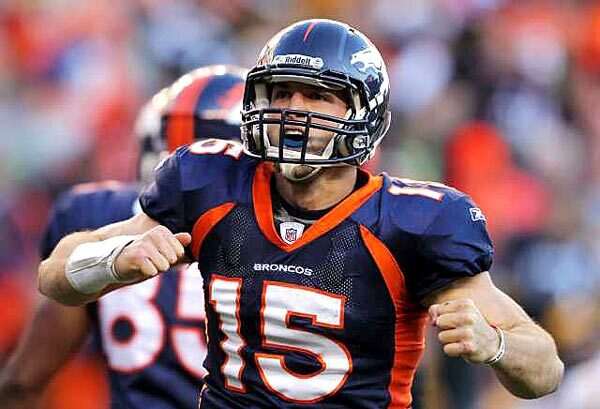 For as long as pro scouts have analyzed Tebow, they have made that comparison – they have put him up against proverbial the bedroom door of quarterback legend and measured him next to the marks left by Tom Brady, Drew Brees, or Aaron Rodgers. 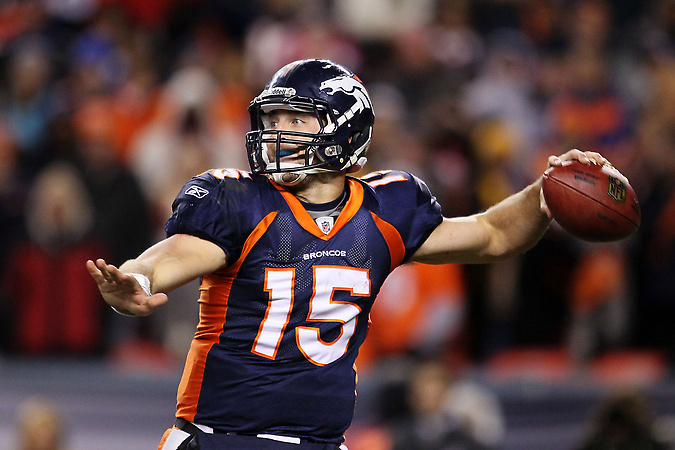 Woody Paige Tim Tebow Showed Flashes of John Elway: The Broncos played that Old-Time Rock ‘n’ Roll on Sunday night to jolt the Steelers, shock the NFL, stun the disbelievers and stagger the whole wide world of sports. 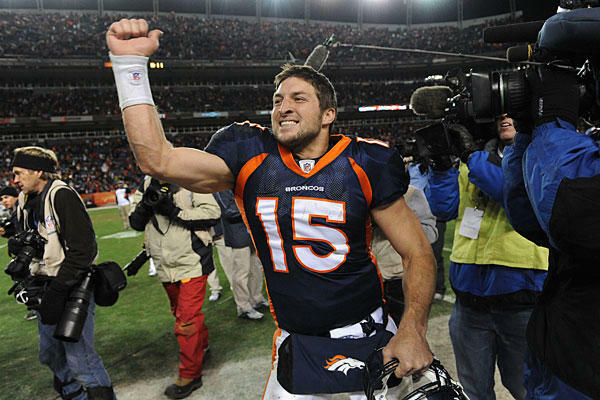 The Broncos won in 11 seconds of the sudden-life extra period when Tim Tebow and Demaryius Thomas, the franchise’s two first-round draft choices in 2010, combined for a death-strike touchdown. John 3: 16 Message Delivered by Tim Tebow Branch: John 3: 16 Bible verse that Tim Tebow was once his eye black small script banned from painting. But Denver Broncos quarterback in spite of the biblical message for the masses on Sunday against the Pittsburgh Steelers win an overtime score was 29-23 during. but some other important games-games-time-say a number of supernatural: against the Steelers passed for 317 yards, and yards per completion with a NFL playoff 31.6 record set.